The Secretary General of ICAO, Dr. Fang Liu (below centre), and the President and CEO of Aéroports de Montréal (ADM), Mr. Philippe Rainville (centre left), were joined last Thursday by senior officials from the prominent aviation organizations based in Montréal for the unveiling of a new airport monument commemorating the city’s status as ICAO’s Headquarters and the World Capital of Civil Aviation. Also on hand were officials from the City of Montréal and Montréal International, which works to attract attention to the city’s prominence as a destination for major international organizations. Montréal has hosted ICAO since the 1940s. Over the decades the city has attracted the world’s major aviation organizations. The International Air Transport Association (IATA) was established in Montréal shortly after ICAO, and more recently has been joined here by the Airports Council International (ACI), the Civil Air Navigation Services Organisation (CANSO), and the main global associations representing aircraft pilots (IFALPA), air traffic controllers (IFATCA), aircraft manufacturers (ICCAIA), and business aviation aircraft operators (IBAC). 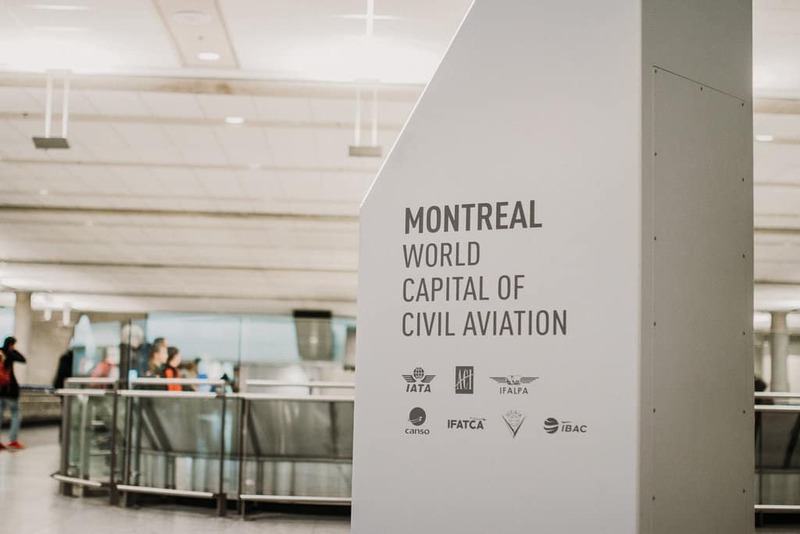 It is through the combined presence of this unique cluster of aviation decision-makers that Montréal’s status as the centre of all global civil aviation cooperation and regulation has become so undisputed, firmly establishing it as the World Capital of Civil Aviation.